Over the past year, an increasing number of Falun Gong practitioners have been released without charge, according to Minghui.org, a clearinghouse for information on the ongoing persecution of Falun Gong in China. This differs starkly from standard procedure in the Chinese regime’s 18-year-long persecution campaign, in which millions have been thrown into various forms of detention for practicing the traditional spiritual discipline. For instance, a Falun Gong practitioner in Tianjin City, Li Zhenjun, was told of his sentence—three years in a forced labor camp—by a police officer reading from a piece of paper. There was no judge and no jury. In fact, no legal basis exists that would justify the banning of Falun Gong. Recently, there have been signs that the persecution is abating—not because of an official change in policy—but because some local authorities sympathetic to Falun Gong have chosen to disobey official directives, instead releasing or simply not arresting adherents in the first place. Since the beginning of 2017, at least 54 Falun Gong practitioners have been released without charge after the court, procuratorate, or police decided to throw out their case. Another 90 have not yet been released, but their prosecution has been halted after a court rejected the case or a higher court ordered a retrial. A local procuratorate in Henan Province returned the case of four Falun Gong practitioners to the police in late July, citing “insufficient evidence.” Their families, lawyers, and fellow Falun Gong practitioners in China and abroad had pressured the authorities, demanding their immediate release after they were arrested in March. 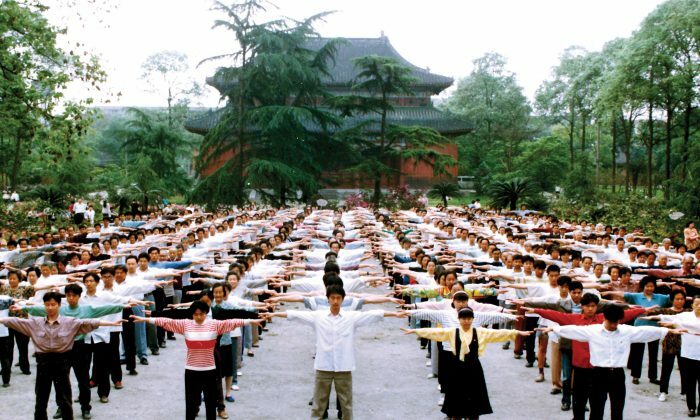 Falun Gong, also known as Falun Dafa, is a traditional Chinese spiritual discipline combining five slow exercises with a moral philosophy rooted in the principles of truthfulness, compassion, and tolerance. First introduced to the public in 1992, the practice proliferated across China, attracting 70 to 100 million adherents by 1999, according to official and practitioner estimates. Falun Gong’s popularity and independent moral beliefs drew the ire of then-Party chief Jiang Zemin, who ordered its eradication. “Destroy their reputation, bankrupt them financially, and destroy them physically,” Jiang ordered. Besides being imprisoned, brainwashed, and tortured into renouncing their beliefs, Falun Gong practitioners have also been harvested and killed for their organs, which fuel China’s lucrative transplant industry. China performs between 60,000 and 100,000 transplants every year, with organs mostly sourced from Falun Gong practitioners as well as other prisoners of conscience, according to a nearly 700-page report published in June 2016. But at the same time, many top officials who spearheaded the persecution have been ousted for corruption in the past few years, including Zhou Yongkang, China’s former security czar, and Li Dongsheng, the former head of a Gestapo-like agency tasked with persecuting Falun Gong. Back when former Party chief Jiang Zemin was in power, he specifically promoted officials who actively suppressed Falun Gong. Since 2013, current leader Xi Jinping’s anti-corruption campaign has disciplined over 1 million officials, including many of those responsible for persecuting Falun Gong adherents. And as a result of the extensive grassroots efforts of Falun Gong practitioners in China and abroad—from flyering around cities in the middle of the night to phoning Chinese officials—more and more local officials have chosen to disobey official policy on suppressing adherents. Freedom House estimates that millions and even tens of millions continue to practice Falun Gong in China and speak out against the persecution.